Anglo Pacific Group PLC (“Anglo Pacific”, the “Company” or the “Group”) (LSE: APF, TSX: APY), the London and Toronto listed royalty company, is pleased to announce that its interim results for the six months ended June 30, 2017 will be released on August 23, 2017. 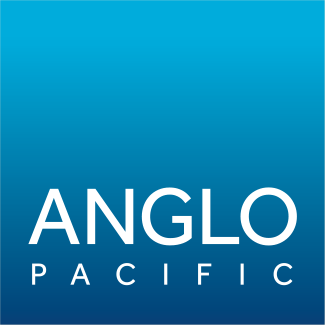 Anglo Pacific also issues the following trading update for the period April 1, 2017 to July 31, 2017. Unless otherwise stated, all unaudited financial information is for the quarter ended June 30, 2017. “We are encouraged by the level of royalty income received in the first half of the year, and expect this trend to continue into the second half now that we anticipate being paid a royalty on almost all sales by Rio Tinto at Kestrel. Royalty income for 2017 is already ~80% of that reported for 2016 as a whole. However on the flip side of such strong revenue from Kestrel is that it will impact on the valuation of the asset through resource depletion. The level of cash generated during the first six months is also pleasing, and is already ahead of that generated in 2016 as a whole. This will allow us to repay in full the amount of borrowings drawn as part of our Denison transaction. With spot coking coal prices running higher than we had anticipated so far in Q3 2017, we will review the absolute level of the final dividend as part of our Q4 2017 trading update and will communicate this to the market in February 2018. There will be an analyst presentation on the Company’s interim results at 9:30am (BST) on August 23, 2017 at the offices of Redleaf Communications. To register your attendance or for further information, please contact Redleaf Communications on +44 (0) 20 7382 4746 or by emailing anglopacific@redleafpr.com.